Take-Two have confirmed that Rockstar Games' Grand Theft Auto IV has shifted more than 13 million copies to fans worldwide. The publisher has given no word to the numerical success of The Lost and Damned DLC. The second exclusive Xbox 360 piece of downloadable content is likely due in October. "Over 13 million units of Rockstar Games’ Grand Theft Auto IV have been shipped as of January 31, 2009," said Take-Two during their quarter earnings call. 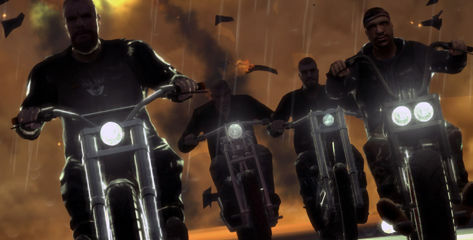 The Lost and Damned added a sizeable chunk of gameplay roughly equalling one third of the original games story mission length. The second DLC planned is expected before November but Rockstar have kept its contents completely secret. Got any ideas what Rockstar have cooking?